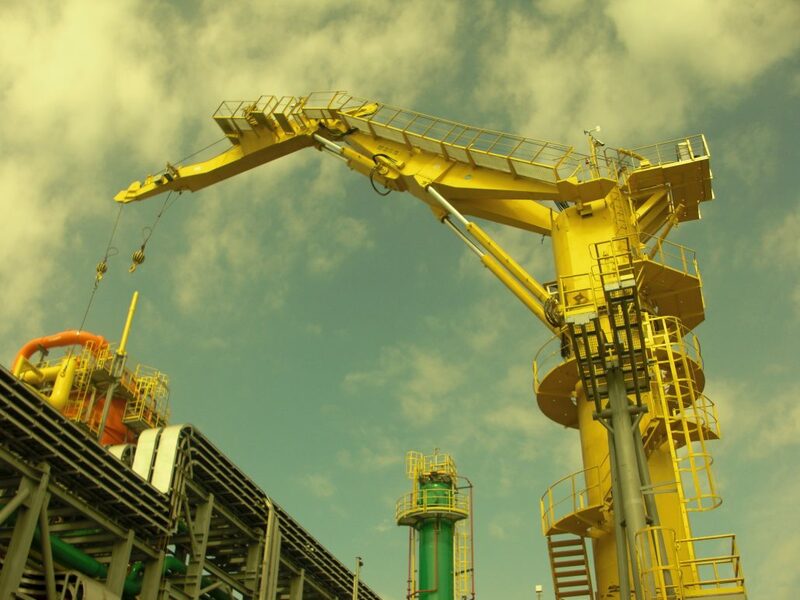 Offshore crane is designed to operate material or load handling in the extreme offshore environment such as wave, wind and having safety function like AOPS and MOPS including CT and AHC system. 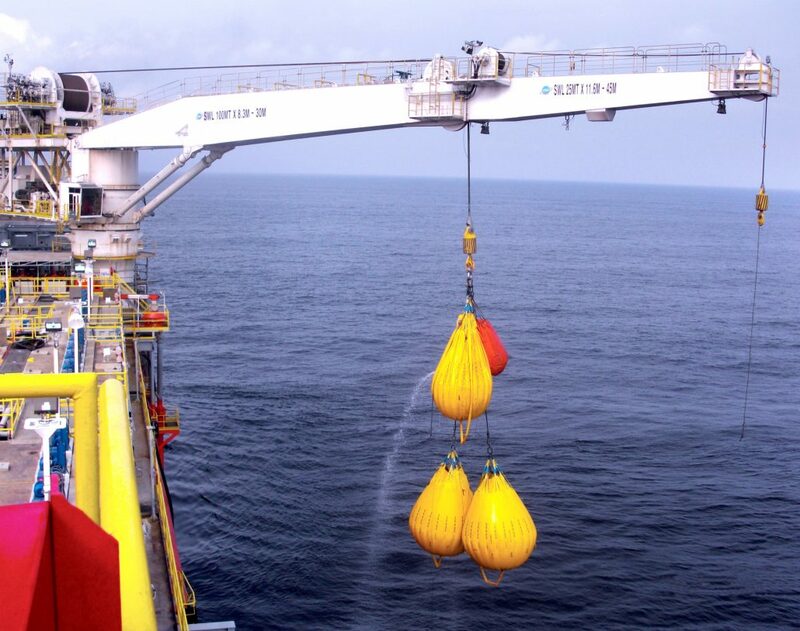 Box type is standard of crane, box construction absorbs shocks caused by load impact, and the boom design minimizes pendulum action for stability during adverse weather conditions. 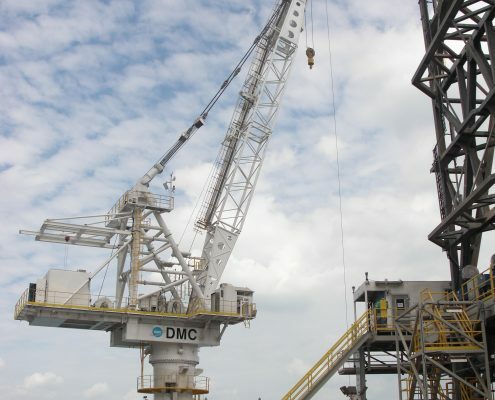 DMC has delivered offshore cranes on the various specification from 7.5ton to 100ton in accordance with offshore class rule such as API 2C, ABS, etc. 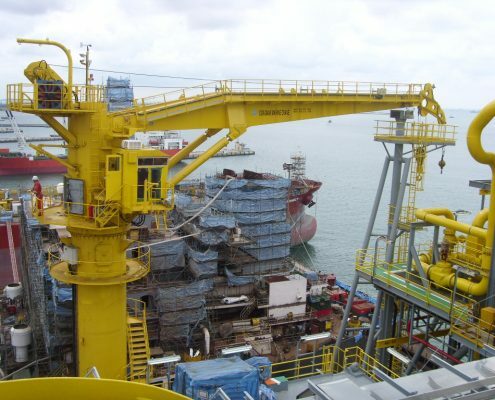 on FPSO, FDPSO. 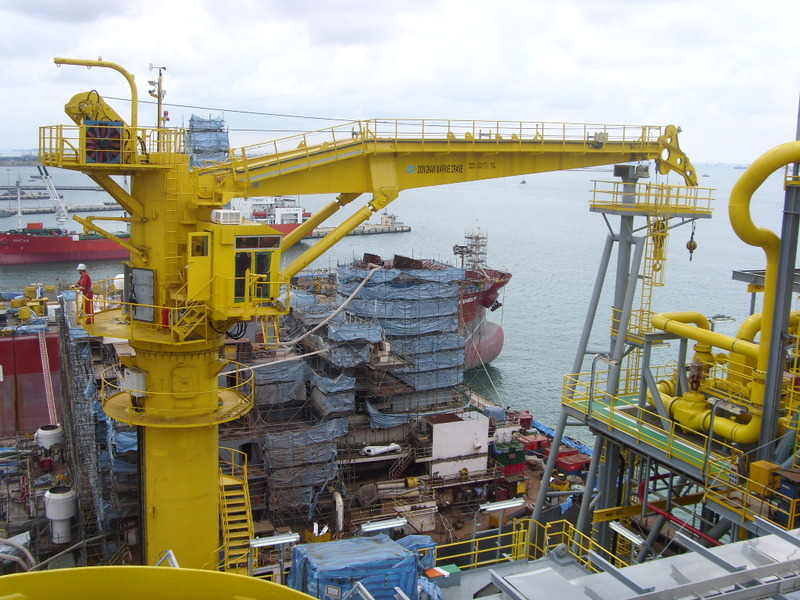 Knuckle boom crane can fold and extend the boom at the ‘knuckle’ near the middle, letting it fold back and forth like finger. 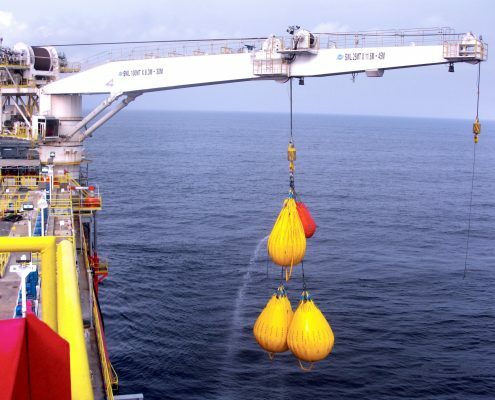 This provide compact size for maneuvering on every vessel especially where space is limited. 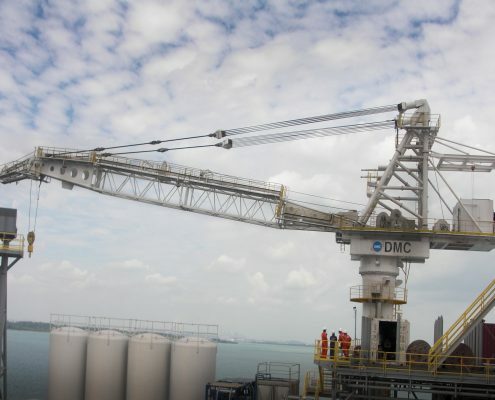 DMC has delivered from 15ton to 85 ton capacity of knuckle boon type crane on FPSOs in accordance with API 2C and ABS rule. 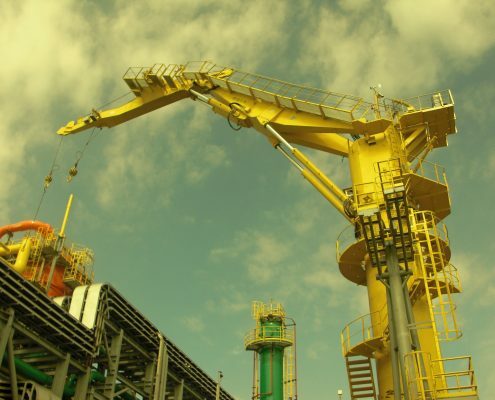 The lattice boom crane is a type of crane with a lattice shaped boom or jib that is raised and lowered by a wire reeving’s. It is less affected by wind loads. 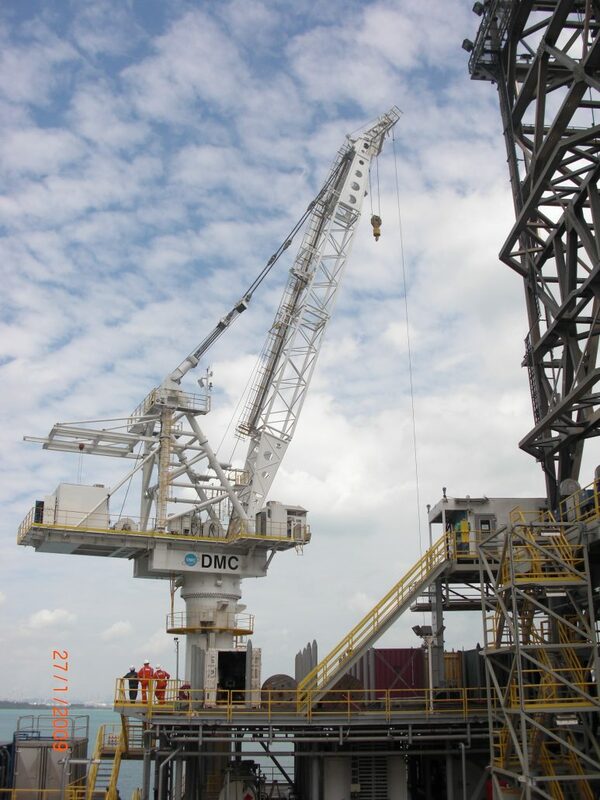 The boom weigh less thus manufacturing and material cost can reduce. 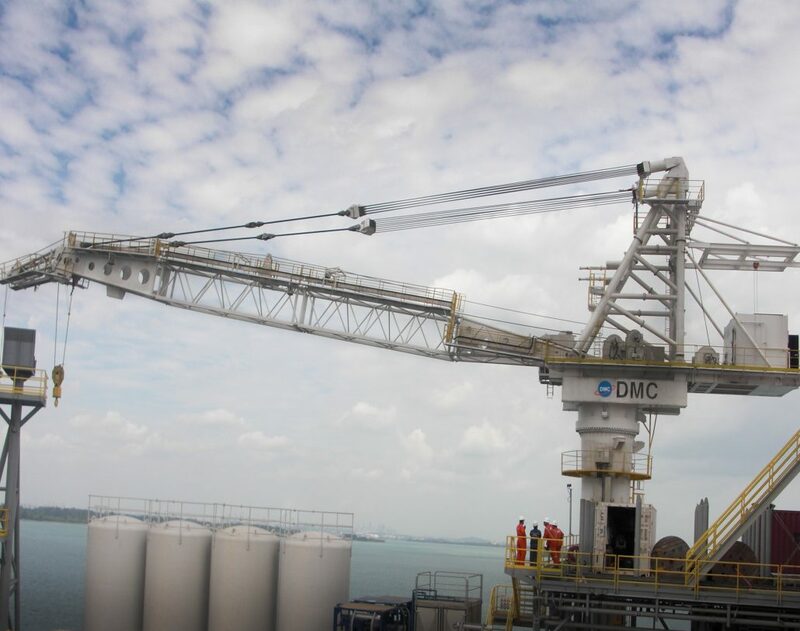 DMC has delivered 37ton and 60ton capacity lattice boom cranes on FDPSOs in accordance with API 2C and DNV offshore rule.